Time for ACNC to Reveal Secrets? Regulations preventing the national charity regulator from revealing details about organisations that it has investigated should be reconsidered, according to a Not for Profit peak body. On Wednesday the Australian Charities and Not-for-profits Commission (ACNC) was grilled by senators at an estimates hearing in Canberra about its investigations into charity activities and the outcomes. 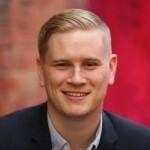 LNP Senator Matt Canava asked for details on an investigation he requested the ACNC undertake into the political campaigning by the Wilderness Society and alleged criminal behaviour of Greenpeace Australia. In June last year Senator Canava had asked ACNC Commissioner Susan Pascoe AM to investigate if the Wilderness Society should retain its tax exempt status after it distributed a flyer that called on voters to place the LNP last on their ballots. He also raised the activities undertaken by Greenpeace Australia, which the environmental organisation admitted had broken the law, during some of its protests. Senator Canava seemed bemused when he was told that the ACNC could not reveal any details of their investigation into the Not for Profits, except to tell him that both investigations were closed. He was also rebuffed when he asked for details around the revocation of two animal rescue charities earlier this week. “I’m a little surprised why that information should be confidential. These are concluded investigations, they’re not ongoing,” Senator Canava said. Pascoe admitted that confidentiality clauses within the ACNC Act made it difficult for her organisation to properly communicate with concerned members of the public. “It is awkward when we are unable to communicate back to people who’ve raised concerns but we operate under the secrecy provisions,” Pascoe said. CEO of the Community Council for Australia David Crosbie, who attended the hearings, told Pro Bono Australia News that Senator Canava’s questions had raised a valid point. “For the ACNC to be able to build confidence that their investigations are thorough and do deliver real outcomes, it may be necessary to review these privacy protection provisions as part of the five-year review of the ACNC due in 2017,” Crosbie said. During the hearings Finance Minister Senator Mathias Cormann also refused to clarify if a Bill to abolish the ACNC would be withdrawn by the Turnbull Government. “The government’s public policy is as previously stated. If there is a change the responsible minister will make the relevant announcements,” Senator Cormann said. Pascoe also revealed the ACNC had not met with a government minister since 21 November 2013 when it met with then social services minister Kevin Andrews. Greens Senator Rachel Siewert said it was time for the government to publicly back away from plans to dismantle the ACNC. “Today in estimates the Government refused once again to take a Bill off the table that will scrap the [ACNC],” Senator Siewert said. “This is despite Treasurer Morrison previously indicating that there was no appetite to scrap the regulator in the Senate. “Refusing to back away from the Bill is poor governance that is causing stressful uncertainty to the sector. “Evidence given today shows the ACNC has continually built trust and is supported by the charity sector; we know from a recent survey by Pro Bono Australia that 80 per cent of the charity sector support the ACNC.